Kreis Enderle shareholder Jim Lance was recently appointed to serve as the commissioner representing Ward 5 on the Battle Creek City Commission. 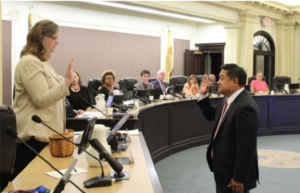 The Commission held a special meeting on July 31st to fill the seat held by David Walters, who resigned as both commissioner and the city’s vice mayor on July 15. 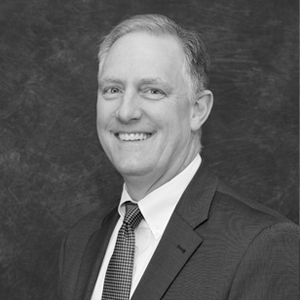 Jim will serve the remainder of Walters’ term, which ends in 2020, while maintaining his general practice which includes business, civil litigation, elder law, estate planning and probate, and real estate matters. According to the Battle Creek Enquirer, the Commissioners chose to appoint Jim because of his experience on various boards, including the Boys and Girls Club of Battle Creek and Junior Achievement of Mid-Michigan, as well as his work in the governor’s office and in the private sector. Jim’s commitment to the community is deeply rooted. Born in Vietnam, an American soldier found him along the roadside and took him to a Saigon hospital. Jim was then taken to an orphanage where he was adopted by a loving, upstanding family from Auburn, Michigan. His father was a local business owner and his mother worked in the home, taking care of Jim and his siblings. Jim credits his parents and siblings for his humility, moral character, and a sense of fairness that prompted him to run for Calhoun County 10th District Court Judge in 2016. Though unsuccessful in his attempt, he remained active in civic and community affairs, a factor that favorably impressed the Battle Creek City Commission. We congratulate Jim on his appointment and his continuing public service!